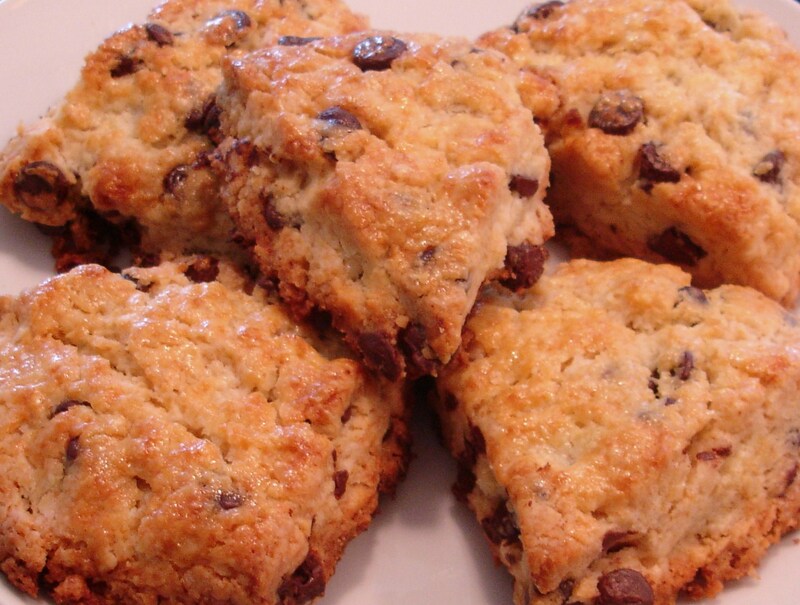 Impress Your Guests with Scones! Every once in a while, a friend will call to say she’s “stopping by for a coffee”. Now, I simply make Scones! Filling and very impressive-looking, Scones are simple to make and can be used for both sweet and savory. For example, Chocolate Chip Scones are the perfect accompaniment for that coffee date, while Dill & Cheddar Scones elevate your scrambled eggs into a true brunch meal. Once you learn the technique for how to make these Scones, you can use any filling you like. All your ingredients need to be very cold. After dicing your butter, put it back into the refrigerator to chill before incorporating it into the recipe. Do not mix the ingredients – simply “fluff” by using your hands (with gloves) to scoop up from the bottom. To add the butter, use your hands to scoop the flour onto the butter and, with your fingertips, break the butter down into pea-sized pieces. You may not need to use all your liquid – add a bit, then add your filling and then add more liquid but keep watching the consistency. Once you have large lumps that can be brought together into one large “patty”, stop adding liquid. Now that you know the technique, what fillings might you use to make your own recipe? Any sauteed vegetables such as mushrooms, shallots, peppers, asparagus or leeks would be great additions. You get the idea… Now, make your own recipes! 1 Response to Impress Your Guests with Scones!